Today I had hoped to go bushwalking as it has been a long time since we went for a walk on the weekend. However, we were thwarted by bad weather – cold, fog and rain. Anyway, I was still really keen to get out of the house and have a walk around even if it was indoors, so suggested that we go to the NGA. I also wanted to go to the gallery as there were two temporary exhibitions that were of particular interest – Bali: Island of the Gods and Atua: Sacred Gods of Polynesia. Both of these exhibitions were excellent. I knew before even arriving at the gallery that I would love the work in the exhibition about Bali, as I adore Balinese culture and love Balinese artworks, especially drawings, paintings and carvings. I am especially drawn to the epic stories told in these works, especially the Hindu classics the Ramayana and the Mahabharata. There were also some beautiful textiles works in the show, some of which were used for shrines – which were lovely. My favourite works were some incredible drawings on palm leaves with Indian ink. The detail was so intricate and beautifully executed – I have never seen anything quite like it. The exhibition of Polynesian works had a diverse selection of (Atua) God and Goddess figures from a range of areas and cultures in Polynesia. Many works were from the 18th and early 19th century and there were also some engravings from the text documenting Captain Cook’s third voyage to the Southern Hemisphere. My favourite works were some amazing small wood carvings for God figures from Rapa Nui (Easter Island) and some beautiful Maori carvings, especially the piece pictured below. Both exhibitions are free, though be warned that there is a little shop out the front of the exhibitions with some very tempting items. I could not resist the catalogue from the Bali show as I wanted to look back at the beautiful palm leaf drawings. Honouring the Gods is such a long-standing tradition in Bali that the island is named after the native word for ‘offering’ – Bebali. For the Balinese, to make the material world as beautiful as possible ensures a safe journey to the afterlife and a better reincarnation. The religious festivals of Balinese daily life are a continuous performance. Traditional music, dance, theatre and the arts are there to give pleasure to the Gods. The daily offerings are an excellent example – every banana leaf offering is covered with rice and marigolds, mostly grown in the highlands around Bedugul in the north of the island. Bouquets of flowers and larger offerings abound, and in traditional towns like Ubud the daily hubbub of tourist traffic is punctuated by the sight of these beautiful ‘bebali’. Lavish sculptural offerings of food and gifts are created for odalan, or regular temple activities. Tono Prayseta is an Ogoh Ogoh artist from the small artist’s village of Batubulan near Ubud. 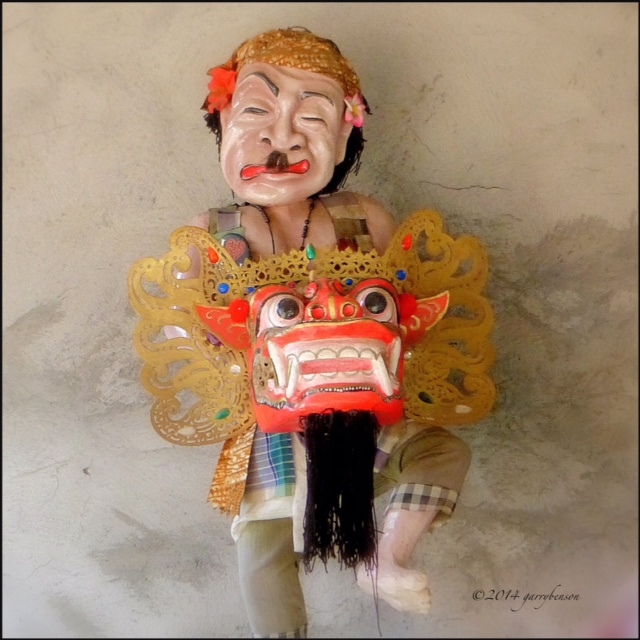 An Ogoh Ogoh is a classic Balinese figure that is closely associated with Nyepi – the Hindu Day of Silence or the Hindu New Year in the Balinese Saka calendar. The villages are cleaned, food is cooked for 2 days and in the evening as much noise is made as possible to scare away the devils. On the following day, Hindus do not leave their homes, cook or engage in any activity. Streets are deserted, and tourists are not allowed to leave hotel complexes. No arrival nor departure flights at Ngurah Rai Airport in Denpasar – Bali. No tourist activities… The largest celebrations are held in Bali as well as in Balinese Hindu communities around Indonesia. 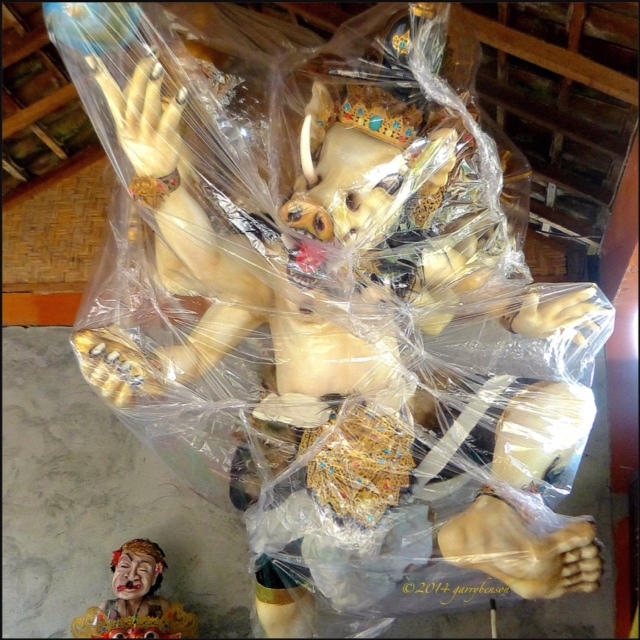 Ogoh ogoh is a kind of statue/giant doll made of light materials such as the combination of wood, bamboo, paper, and styrofoam so it is easy to be lifted and paraded. 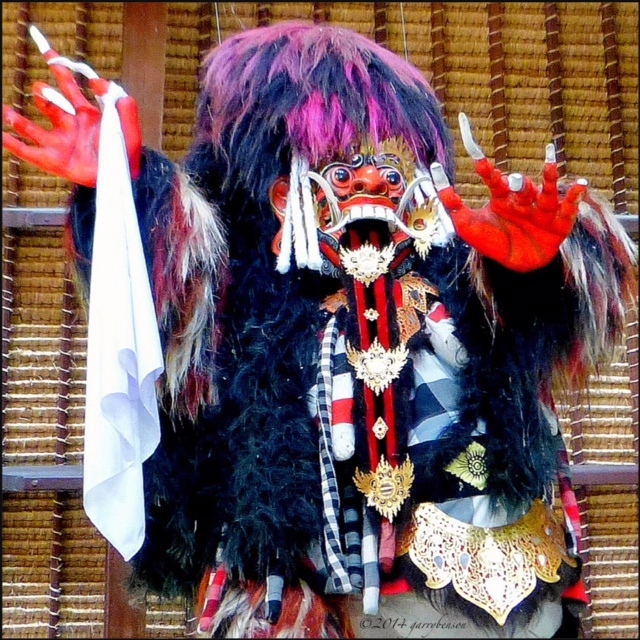 The name ogoh ogoh is taken from Balinese ‘ogah-ogah’ that means something that is shaken. In fact, when an ogoh-ogoh is paraded around it is always shaken by its carriers to make it look like it’s moving or dancing. There’s no set image – it can be any of dozens of frightening creatures. 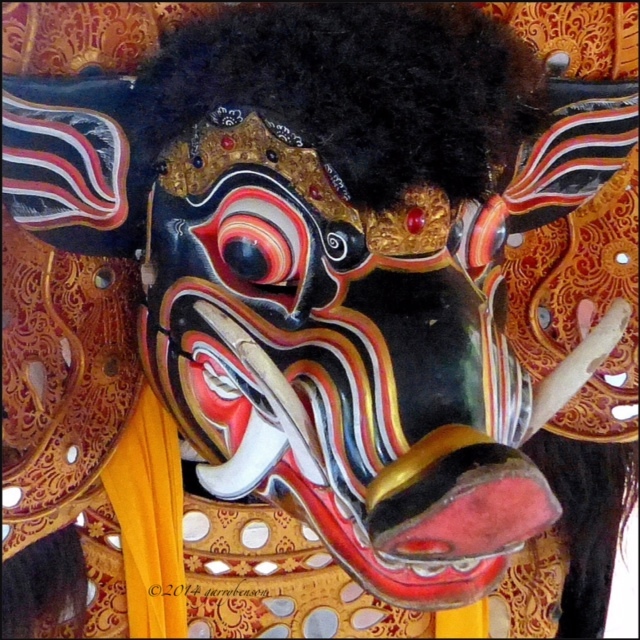 In culturally diverse Bali the celebrations of Hindu holidays are very important. 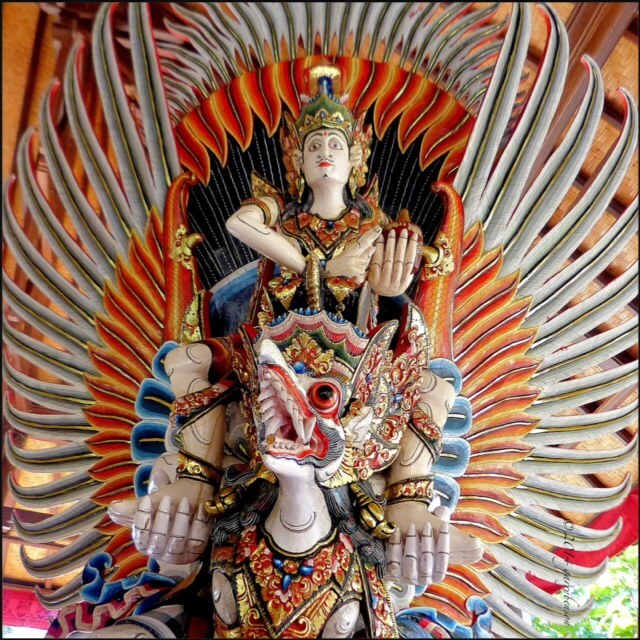 For example Galungan celebrates the return of Balinese gods and deified ancestors to Bali. 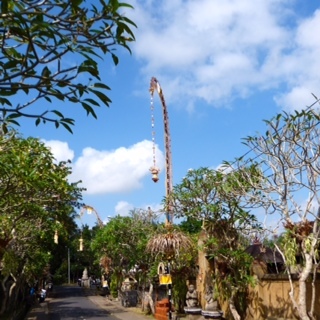 For ten days, Balinese families offer prayers and offerings, along with ceremonies to cleanse and balance the inner and outer energy on the island. Galungan lasts for 10 days and features, among other things, Barongs (links with Vishnu) dancing from temple to temple in each village. The festival symbolises the victory of good over evil. The origins of Galungan are still a mystery, but essentially this is the beginning of the week in which the gods and ancestors descend to earth…and good triumphs over evil. 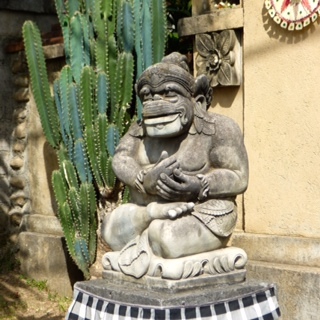 The Balinese have maintained their unique culture for centuries despite many outside influences. 95% of traditional Balinese practise the Hindu-Dharma religion (known as Agama Tirta). 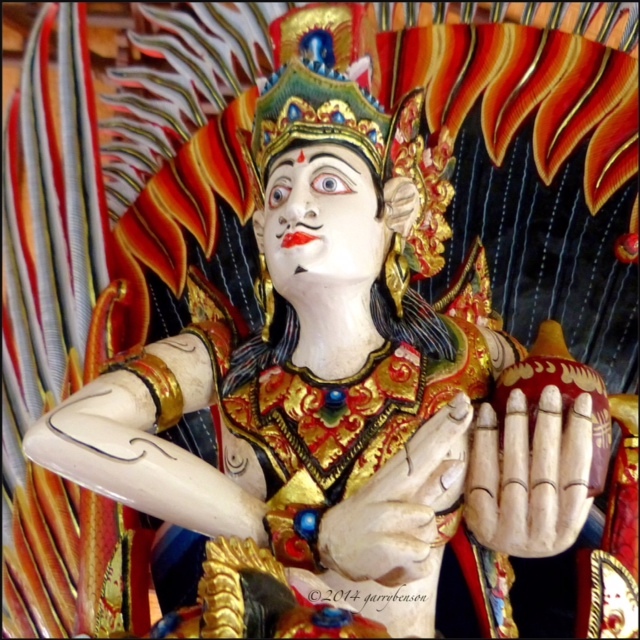 This uniquely Balinese combination of Hinduism, Buddhism and ancestor worship is basically a monotheistic religion with one Supreme Being, Sang Hyang Widhi. 1. Not to kill any sentient being. 4. Not to indulge in sexual misconduct. 5. Not to surrender to intoxifying substances. 2. Atman, Belief in Souls and spirits. 4. Karma, that action and practice is appropriately rewarded – that is good rewards good and evil, evil. 5. Moksa, the possibility of unity with the divine. There are many parallels with Buddhism apart from the fact that Buddhism is regarded as a philosophy and we don’t believe in One Supreme Being. A Balinese person’s life is marked by rituals, beginning in the seven month ritual of pregnancy followed by the birth ritual; the sixth month ‘baby touching the ground’ ceremony; the teenage’s toothfiling ceremony (perhaps in abeyance now); wedding and birthday celebrations and clan gatherings at temple anniversary ceremonies. The ultimate ritual, Pitra Yodna, is coming next month – in July and August many villages prepare pyres for the elaborate cremation of the dead, to speed their souls to Balinese heaven so they can be reincarnated for an even happier existence in another physical form. One thing is certain. The tremendous growth in tourism has generated demand for the work of all Balinese artists and craftsmen, revived their traditional skills and fostered a thriving new industry. 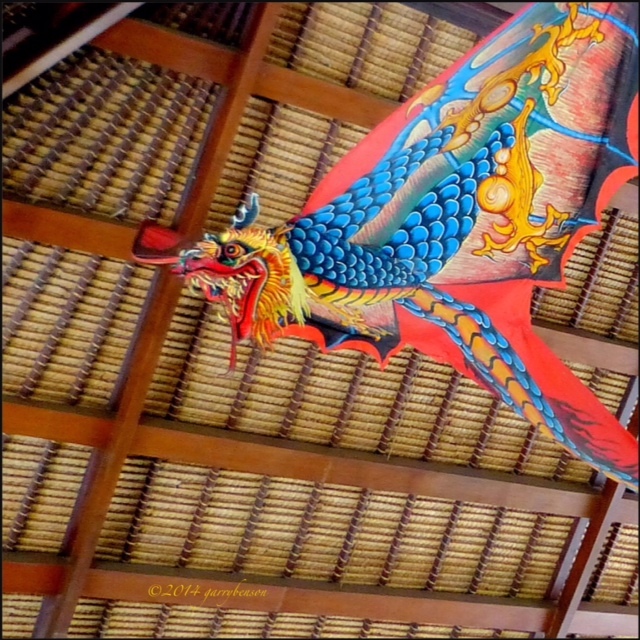 Whether it’s sculpture in stone, wood or styrofoam; fantastic kites or wallhangings, the art of Bali has a soul – and that’s also expressed by their daily offerings and lifestyle. Today I write about a favourite haunt close to Paneeda View, Manik Organik. Manik Organik is a great spot, offering delicious whole foods from the cafe, natural skin care, alternative health therapies, arts, dance and cooking classes and our favourite form of tropical torture – yoga. There were three types of yoga classes on offer while we were here – Bali style, Hatha and Ashtanga Vinyasa Flow. We did the Bali and Hatha classes and enjoyed both, for different reasons. The Bali style was quite different to other classes we have done in the past and the first class was very challenging. The second class was a bit easier, finding that our bodies were willing to stretch a bit more. Mangku was also a wonderful teacher and we promised him next year that we will be better. He is also a traditional Balinese Hindu priest and healer – here is some information from The Power of Now Oasis Yoga website. Jero Mangku comes from a long line of traditional balinese hindu priests, his life is truly an offering. He began teaching yoga over 5 years ago, and is certified by the School of Sacred Arts here in Bali. He always brings strong elements of Joy, Peace, and Harmony as well as Effort and Discipline into his yoga classes. Drawing from a deep knowledge of spirituality, body work and a life of practice, his classes are very popular with locals, expats, and tourists alike. Here is Mangku in some pretty amazing poses. What we found was really nice way to spend a morning was to go to yoga class and then tuck in some yummy breakfast from the cafe. Here is a picture of the fruit and muesli plate – delicious! Given we are already planning our trip for next year, it looks like some more yoga will be in store – the challenge will be making sure we keep going once we get back to the cold of Canberra. Bali for me is an opportunity to recharge the batteries, to take the opportunity to relax and do nothing – unlike other travel where we are pretty active with planned activities, discovering new places and learning about new environments. As mentioned in my earlier post 365 Places: Bali, I have been coming to Bali since 1981 so in many ways it is like a second home, or more accurately, a second holiday home. Today, I am posting again about Alam Jiwa, the beautiful place I wrote about yesterday in 365 Places: Nyuh Kuning and Garry wrote about inThe Soul of Nature. This is a truly amazing place, surrounded by little ponds, fountains and waterfalls, where the water from which all comes off the rice fields nearby. Here are some images of this very special place. Today I write this post from the the very beautiful village of Nyuh Kuning, where we are staying as guests of my uncle, Garry Benson, who also writes for Geokult Travel. His most recent post is also about this lovely little village, whose name means Yellow Coconuts. The village is located close to Ubud, in the heart of Bali. Our rooms are amazing, with views of the rice paddies, little shrines everywhere and an indoor/outdoor bathroom (something I am obsessed with in Bali). 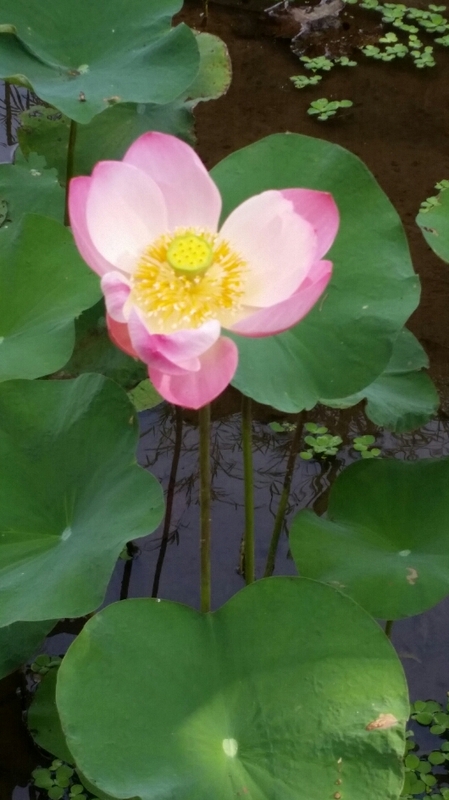 The only challenge is the very slow wifi – I have been trying to upload images since last night and they are still loading.Only one image uploaded while we were there – this beautiful lotus from the garden pictured above. When we return to Sanur, I will write another post with some images from this beautiful, peaceful place. One thing worth mentioning in passing is that Ubud and the surrounding villages are very conscious of the environment and are focused on being sustainable – you can check out this great website Ubud: Now and Then for more information. For the 10th year I’m home – at blessed Alam Jiwa in the traditional Balinese woodcarving village of Nyuh Kuning. It’s just a short walk through Monkey Forest to Ubud, the world-famous arts and crafts capital of Bali. Surrounded by shimmering rice fields with a view of sacred Mount Agung, the village is a showcase of traditional Balinese culture. Alam Jiwa translates as ‘the soul of nature’ and is a total of eleven beautiful two and three-story stone ‘apartments’ running along the border of the rice paddies. The owners of Café Wayan, Ibu Wayan and Pak Ketut have created an ambience reflecting the beautiful nature of Bali. The secluded setting of the six Alam properties in Ubud and a hotel in the Gilis all feel like retreats – yet also a connection to interact with Balinese culture. 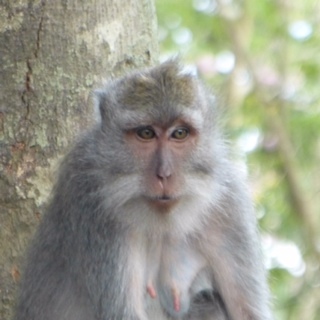 It’s just a short walk from Alam Jiwa to the Monkey Forest, the home to over 300 macaque monkeys. 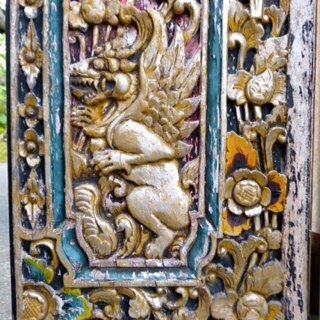 The Balinese believe these monkey to be spiritual beings who are protective guardians of the temple ‘Pura Dalem Agung’. They have free reign in the village of Nyuh Kuning. The overwhelming feeling of staying at Alam Jiwa is being part of a family. On arrival I’m always greeting with a huge vase of tropical flowers with a typical message ‘Welcome home to Garry Benson’. I know the staff and their families, and to see their eager faces and smiles when they welcome me back are wonderful. My hour long morning daily walk in Nyuh Kuning village is always a buzz. After 10 years I know a lot of the locals who smile & wave and sometimes chat. Just one of the paved streets about half a kilometre long had a total of 126 different sculptures. Each Balinese compound has its own temple dogs or guards, but the outstanding one for someone with a mudbrick house is this one. Beautiful stone mosaics, and dozens of small sculptures embedded in the walls. The village is intentionally ‘house proud’ and the villagers vie with each other to have the most beautiful entrances. The main streets of the village abutting Monkey Forest are all paved and decorated, with a soccer field, a temple complex and local school. It’s almost a model traditional Balinese village and a wonderful place to stay, to walk around and enjoy the numerous restaurants etc. It’s amazing that this traditional woodcarving village has such a wonderful array of stone sculptures, carved wooden doors and offerings, a constant joy to crazy photographers like me! Today was our first day back in beautiful Bali and we spent a very relaxing day walking along the beach, getting a massage, swimming and eating some yummy Indonesian food. Bali, the popular tourist island in Indonesia is a place that is very special to me, as well as a place that I have returned to many times over many years. My first trip there was in 1981, with my Mum, when we were living in Darwin. I was 15 years old and had saved all my money from my after school job at K-Mart. There are many things that stick in my memory about that journey, things that had changed rapidly in the years that followed. For example, no shops in Kuta that had tiled floors and to get to the stalls in Jalan Legian, you had to walk over timber planks as the deep exposed drains from the Dutch era were still in use. 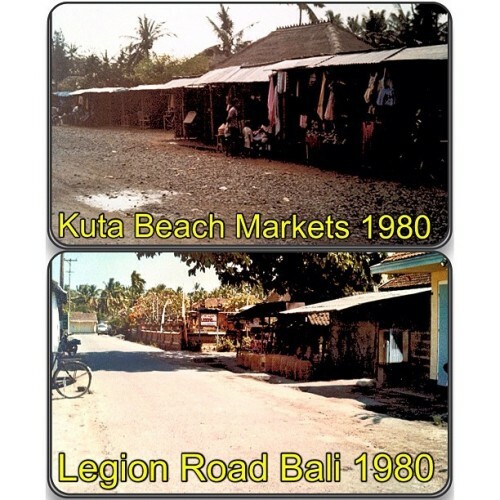 Then I returned there as a 19-year-old with a girlfriend in 1985, to a much different place, Kuta was teeming with young tourists and it had become much more commercialised. 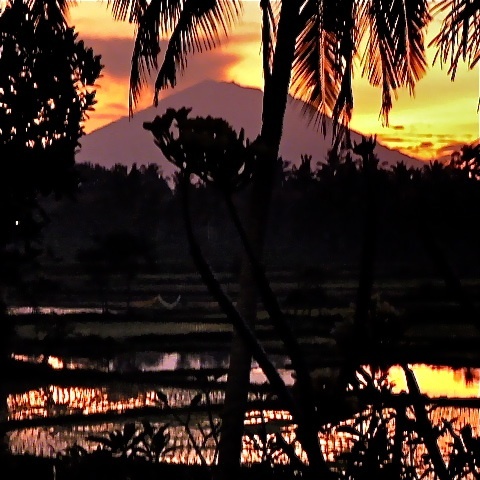 I didn’t return to Bali until 1990/91, stopping in Bali for a couple of days either side of a study trip to Salatiga, in East Java. Kuta had become even more busy, noisy and lively, so much so that after spending time in rural Java, I decided not to return to Bali as it had changed too much. And I didn’t go back, not for many years. 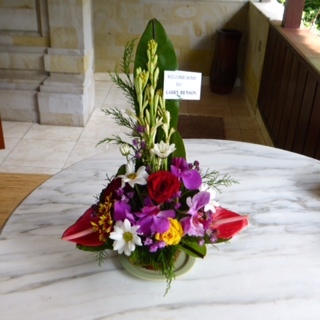 Then in 2010, my husband Marty gave me a trip to Bali for a birthday gift. It was extravagant I know, but this time around we stayed in Sanur and it was total bliss. We also travelled to Nusa Lembongan for 3 days which was a lovely respite to the hustle of South Bali. In 2012, we returned for our honeymoon, again having a magic time, travelling to North Bali as well as staying at our favourite spot in Sanur – Paneeda View. As I write this post I am looking ahead a couple of weeks, as we will be heading back to Bali to escape the Canberra cold for a short time. I hope you enjoy these lovely images by Martin Drury and Garry Benson of this magical place.